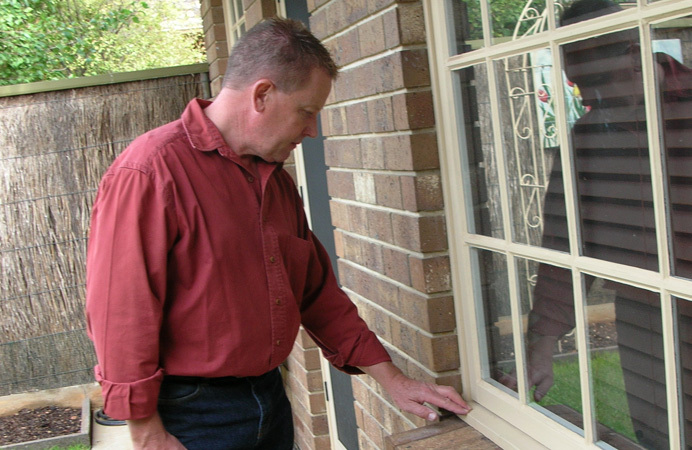 Homecheck Services provides pre purchase (or pre auction) home inspections and appraisals conforming to Australian Standards for house and building inspections. Over 40 years experience ensures that you will be completely satisfied with the quality of both the home inspection and the final written report. Homecheck Services home inspection reports conform to AS 4349.1 - 2007 for house and building inspections. To ensure comprehensive home appraisals and consistent results Homecheck uses a proprietary home inspection checklist and appraisal report format. What does your home inspection include? Structural integrity of the principal home including any attached structures such as garages and sheds. Water entry, salt damp penetration and water related damage to the home, particularly around wet areas. Condition of the buildings visible plumbing and drainage. Condition of the buildings visible electrical wiring. General condition of the house plaster, render, paint, brickwork and mortar joints. Overall condition of doors and windows. Overall condition of plumbing fittings and fixtures. Overall condition of the hot water unit. House gutters, downpipes and roofing materials. Building insulation and check for presence of asbestos components in the home. General size and proximity of trees and shrubs that are with close proximity to the home. Method of storm water disposal and site drainage generally. The building inspection does not include inspections of swimming pools and spas. Pre Purchase Building Inspections must be visual inspections only and as such, we must be respectful of the Vendors property. Homecheck will provide a comprehensive written report detailing any specific problems the home may have and giving you a clear overall picture of the house and property. The report will be delivered the same evening as the inspection by e-mail with a hard copy by postal mail following soon after.